Return to Chikata with Mei and Yasahiro! 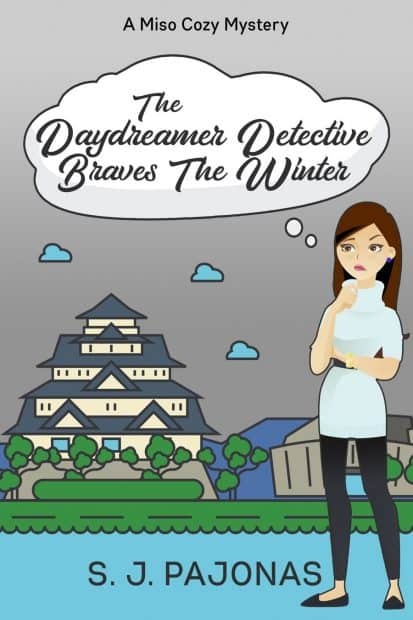 But Mei has more to think about than murder. With the barn gone and their vegetable stores destroyed, she and her mother are down to their last canned goods and no money for heat. Mei’s mom is fortunate to find work, but Mei must fend for herself, get a job, and keep their financial situation a secret from Yasahiro. 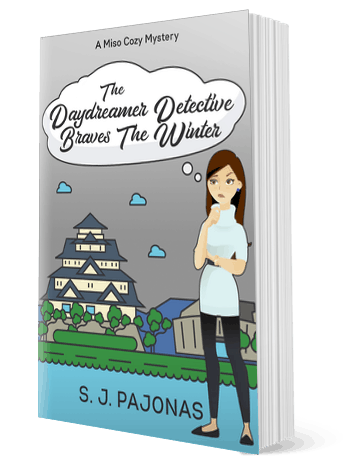 In pursuit of paying work, she stumbles onto a new witness to the crime, and before long, the dead woman’s secret life unravels before everyone’s eyes. 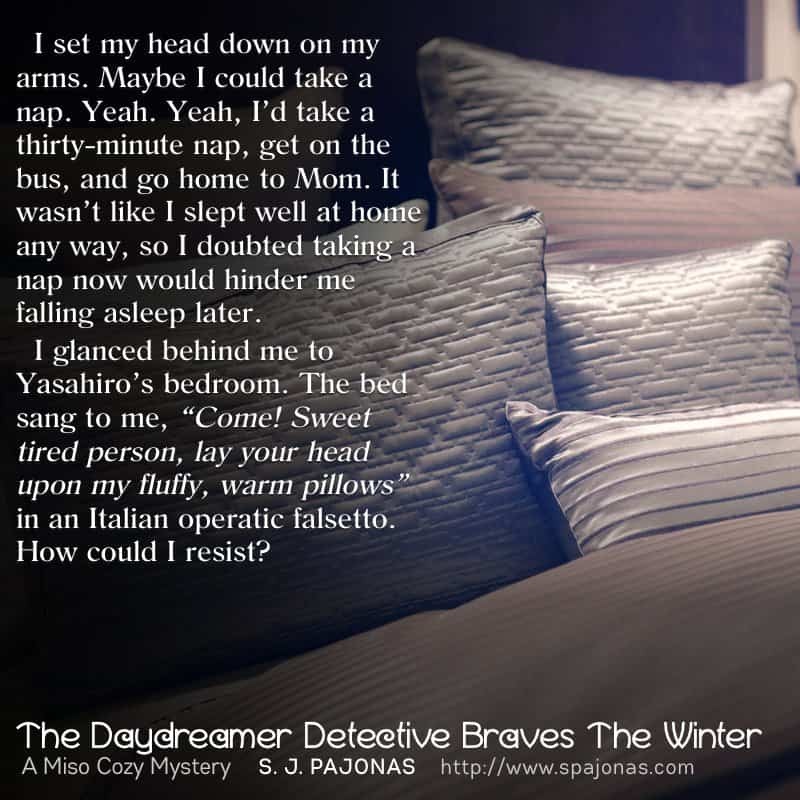 The Daydreamer Detective Braves The Winter is the delightful second course to the Miso Cozy series of cozy mystery novels.